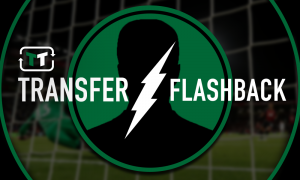 Chelsea would make huge defensive addition with signing of £27m-rated Frenchman | The Transfer Tavern | News, breakdown and analysis on all things football! The Chelsea fans in and around the Transfer Tavern are starting to get a little worried about the lack of transfer activity in and out of the club at the moment, having stumbled to a 5th place finish last season. Stamford Bridge wasn’t the happiest place after last season because of the poor performances they were witnessing on the pitch. Next season cannot afford to be as disappointing and therefore Roman Abramovich needs to financially back the team to success once again. Defensively, Chelsea looked worrying at times last term, and that’s why our punters believe a wise move would be for the Blues to target PSG’s Presnel Kimpembe, who is valued at £27 million according to Transfer Markt. Chelsea’s squad currently consists of a mix of experienced and up and coming defenders but with the back-line also ageing, Kimpembe could be the perfect addition to change that. The Frenchman is currently away at the World Cup but has this season taken his club performances to the next level, becoming a commanding defender for the French champions, therefore showing he deserves to be away with France. 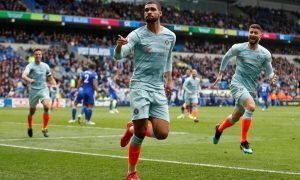 The future of David Luiz, in particular, is up in the air and the 22-year-old, with the ability to play centre-back and as a left-back would be a great replacement for the Brazilian as the Blues look to build for the brighter future they hope to endure. Chelsea missed out on Champions League qualification which could have a huge impact on the talent they are able to lure to the club but with Kimpembe’s future so bright, the Blues have to do everything in their power to secure his signature. He’s a quick, robust defender with bags of technical ability – and so he’d fit right in at Stamford Bridge.